It looks like McBride did his interviews for this book about music phenom James Brown in 2012, long before this book was published in 2016. In the Foreword McBride crankily reveals he was being taken to the cleaners in a divorce settlement and he needed to write this book—any book—to bring in a little money. Any flaws this book contains then become perfectly understandable, and McBride keeps up that level of honesty and casual explanation all the way through. This is no stilted celebrity biography covering well-trod ground. This is down home and personal, gentle conversations with the men (they were mostly men) and women who knew most about James Brown and his life. That ‘influence’ would have been the South Carolina lawyer David Cannon who had been hired by Brown to extricate him from IRS charges of underpayments. Cannon and Buddy Dallas, a Georgia lawyer, were white men who had never worked for a black boss before. They brought Brown back from destitution when his act suffered the toll performers experience when they age, and when the IRS realized they’d been robbed. They set up what they’d thought was an unbreakable trust serving poor children and then suffered personal attacks and rake-backs as the trust was contested. James Brown played a role in McBride’s youth—in every young black man’s youth, is McBride’s contention—being a role model and human divinity of soul. His concerts and records made a difference in how the world turned. 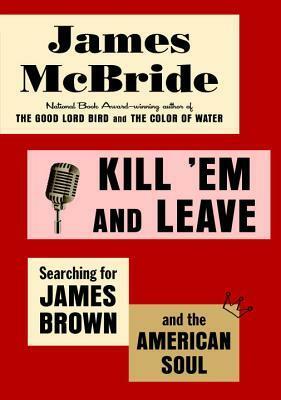 The 1960’s-70’s were the height of his popularity, but he made a mark that lasted to his death, and McBride argues, will long after. “Kill ‘em and leave,” Brown exhorted the younger men he mentored. Don’t hang around after a concert for folks to pick your carcass clean. Make ‘em wait. McBride spins his story out slowly, the way he collected it, through innumerable interviews with band members and managers, friends, and family. He is conversational and not cruel when he tells us the plain facts of James Brown’s lonely upbringing, early incarceration, exceptional singing talent, and enormous drive. Brown never wanted to be hungry or lonely or dependent ever again, especially to the white man, who he feared. That’s right. That’s right for every field. If they don’t have ‘em, they’ll make ‘em. But more importantly, and listen to this: those executives—they aren’t so special either. They do a job, but somehow we’ve allowed them to capture an unnatural percentage of the take. They have nothing without the talent and the rest of the organization, but you wouldn’t know it talking to them. But there is a truth in that it takes more than talent to be a great star, if that is where you are aiming. It takes more determination than talent. Brown had determination. He wanted to present his best side to the world, so no one would have cause to put him down. After shows he would sit through 3 hours of treatment under the hair dryer to get his pompadour back in shape…and then he would leave without seeing the fans waiting for him. Kill ‘em and leave. I loved the way McBride told this story, mixing a little of himself in there. He’d gone to Columbia Journalism School in 1980, so was undoubtedly aware that the reporter should scrupulously keep himself out of the story. But his ease with the scene and his knowledge of the backstory, his understanding of the silences between questions and his sense of the real meaning of James Brown gave us the mystery of the man and a deep sense of his place in pantheon of black culture. I loved hearing the familiar names, Rev Al Sharpton and Michael Jackson among them, and seeing how they fit in this picture. It’s a comfortable, unstrained telling of a difficult life built on success. Race is everywhere in this book, though it is rarely mentioned. The fact of America’s race situation both made James Brown who he was as a performer, but it constrained him as a human being. McBride gives us that, shows us how that was. A book by McBride is cause for celebration, no matter that the editing was a little off, or he repeated sections. This is a story you won’t want to miss. There are various measures used to illustrate China’s rising strength, but Rachman believes the balance has already shifted east. American and European military influence is definitely contracting as China increases its spending and the centrality of the needs of its billion people in Asia is drawing other economies into its orbit, creating spheres of influence. However, the population in China, as a result of the one-child policy, is aging. China will be dealing with this legacy well into the next thirty years when it is expected India will become the world’s largest economy. India’s population in 2015 was 65 percent under the age of thirty. For the most part, countries in Southeast Asia have been unable to resist the temptation of China’s development aid and trade. One exception has been Vietnam. Encroachments from the sea by China testing coastal boundaries has so alarmed Vietnam that they apparently asked the United States if they wanted to establish a base at their old wartime location in Cam Ranh Bay. "For the Vietnamese…the offer made perfect sense. In its thousands of years of history, Vietnam has found only one war against the United States—but seventeen against the Chinese." China decided in the 1990s that it would pivot to Africa, and since has become Africa’s largest trading partner, with two-way trade exceeding $200 billion in 2010. Apparently India, watching China make great gains in Africa, stepped up its own investment there, where it is historically positioned to be at home. Africa, like India, has a large proportion of its population under the age of thirty, and some development specialists suggest that the Indian Ocean will become the next growth center of trade and development, when the Pacific Rim economies and growth has slowed. China recently began purchasing Russia’s gas reserves in a win-win for both countries, though Rachman believes the Russians suffered a very difficult negotiation. Many Chinese have been moving northward, legally and illegally, to set up business distribution networks in the less populated regions of eastern Russia. China watchers wonder if China will eventually move to take the east back from a too-large-to-govern Russia. There are also signs of cooperation, if not alliance: On July 4, 2017 Russia and China together signed an agreement to sanction North Korea after their successful ballistic missile launch, and to warn the U.S. and South Korea of the provocativeness of joint exercises. The closeness of any relationship between these two goliaths is a new feature American and the Europeans have not had to consider for many years. Latin and South America, both in America’s backyard, in the new millennium suddenly discovered it had options, and in 2011 Brazil’s largest trading partner was…China…who imported twice as much soy, sugar, meat, iron, and copper as did the United States. Japan, watching China, stepped up its aid and investment as well, creating life-giving competition in Mexico and Colombia. The formerly ignored BRICS alliance (Brazil, Russia, India, China, South Africa) may become a economic fulcrum to edge any power discrepancies into the Asian sphere. 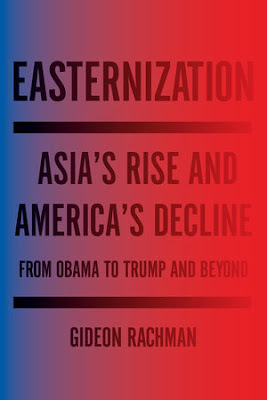 One aspect of Obama’s pivot to Asia was intended to engage and contain China’s influence in Southeast Asia, though the pivot started to come undone almost as soon as it began. Events in the Middle East and his own intransigent government effectively kept Obama from erecting anything on the pillars of doctrine he might want to call his own. What we noticed instead was a gradual drawing away from involvement or intervention in the Middle East except in where others are willing to come in with us or in cases and places where surgical strikes might achieve an outcome without loss of life or treasure. The West is still struggling to adapt to low growth and unemployment as a result of China’s low cost production, but Europe and America are still the desired destination of the world’s migrant peoples, make no mistake. China is able to make great investment of human resources into Africa’s infrastructure development because their own level of development is not so distant from what they find in Africa. The technologies used in both align. Rachman makes clear that the West still holds the institutional advantage: many of the key institutions that allow smooth communication, banking, and trade were created by and situated in the West. Sanctions are suffocatingly effective on excluded countries, cutting them off from many life-giving international exchanges. Until changes are made to the centrality of these internationally-recognized bodies, and challenges are on the horizon, the West is still central to the aspirations of the world. There is a huge amount of fascinating discussion and no-fat detail in this worthwhile read and Rachman has gotten a good deal of attention: check out the WSJ review, those of you with subscriptions, as well as the following links NPR interviewed Rachman, The Atlantic’s Uri Freidman interviewed Rachman, and the NYT published in April an article by Rachman about his premise. This is a marvelously readable ‘catch-up’ volume for those of us who took our eyes off the ball occasionally in the past ten years, but those who have been watching with undivided attention will be grateful for his overview and his discussion of where it is leading us. Highly recommended.